May we all remain humble!! Wishing all a Fabulous Week-End!!! It has been another fabulous days here in #Outsiders as the team has continued onward with on-going daily reviews over the grid and beyond. It was quite a week-end having had the privilege and pleasure to support my Son with his Eagle Project and also having met up with a Eagle Candidate on his Merit Badge. It is such a joy and privilege to be witness to such dedication and commitment despite it all. Can't say it better myself...Onward to the new week !!! It was quite a day around our World as Markets took a major tumble. Although I saw that US markets somehow got their footing at the last minute, it was terrible in London as some $ 50 Billion Pounds were wiped off British Companies. I was also taken aback as I saw rumrous of Twitter being bought out by News Corp. Twitter has been down 41% since Jack Dorsey took charge as CEO and closed at around $ 17.50 a share today. I was personally amused at the rumours especially as News Corp took a major hit the last time it took a chance on a social media strategy--anyone remember My Space!!! I have also been on the "virtual prowl" @ #Davos2016 (Since I can't afford the $ 30,000 Entry Fee right now!!!). The theme is the 4th Industrial Revolution and a always it is quite a show. Notations will be on hand daily as I hope all "pop in" to check out the available sessions. I was blown away by the Microsoft Commitment to give away $ 1 Billion Dollars to Non-Profits. — Barack Obama never mentioned Donald Trump by name during his hour-long State of the Union last night, but he didn’t need to.The millions of Americans who tuned in – for the largest audience that the president may get in 2016 – knew that he was talking about the Republican frontrunner. That alone is a testament to the extent to which the billionaire businessman and first-time political candidate has disrupted the political debate in this country. Cynics says Obama was trying to elevate Trump to help Democrats, but the reality is simpler: The president, like almost every elected official in Washington, genuinely sees The Donald as a frightening challenge to our country’s institutions and anathema to its values. Obama also knows that much of what he has accomplished over the past seven years will be rolled back if a Republican succeeds him. And the speech sought to frame the campaign to succeed him in those terms. 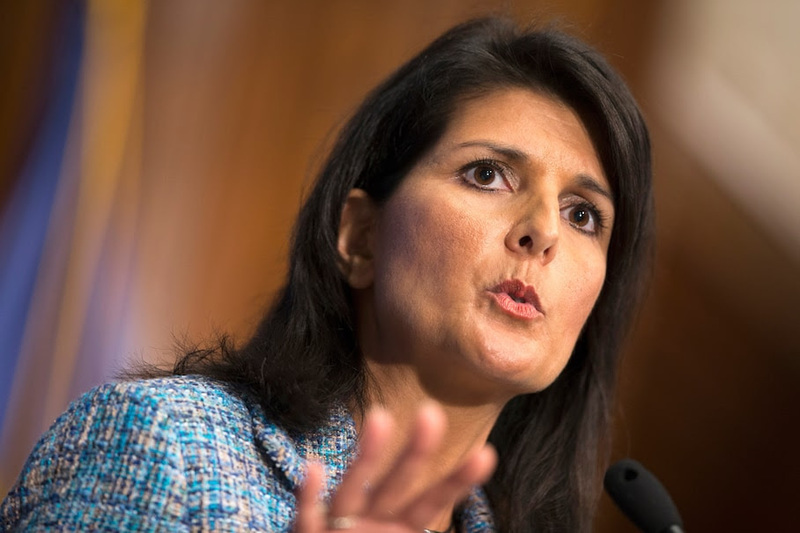 — Haley’s speech has become a Rorschach test on the right. The far right hated it. “Trump should deport Nikki Haley,” Ann Coulter wrote in one ofsix-anti Haley tweets. Charles Krauthammer, on a Fox News panel, called it the best State of the Union response he can ever recall hearing. What I found especially interesting is the new Book by E J Dionne which I hope to pick up soon. Excerpts of it were published over the past 24 hours as the campaign is gathering steam. This is just the stuff truly out of scienece fiction. Cal Tech was at the forefront of it--and I had the good fortune to be at Cal Tech for one Summer studying Physics--and loved it!!! We will also be on the prowl for it as this further develops. One staggering statistic: It takes this planet 20,000 years to orbit the Sun!! Please click on this from Cal Tech. Our world is truly a better place becuase of such men who go beyond the now always. I hope such will be the case as our #Ousider journey continues. It was such an honor for my personally to add my name to the petition as Ali Rezaian, Jason's Brother, Began on Change.Org as his case was kept alive. I was not as aware of the other cases as I would have liked to have been. Earlier this year, I came to realize that one of them, Amir Hekmati, was a distant relative. 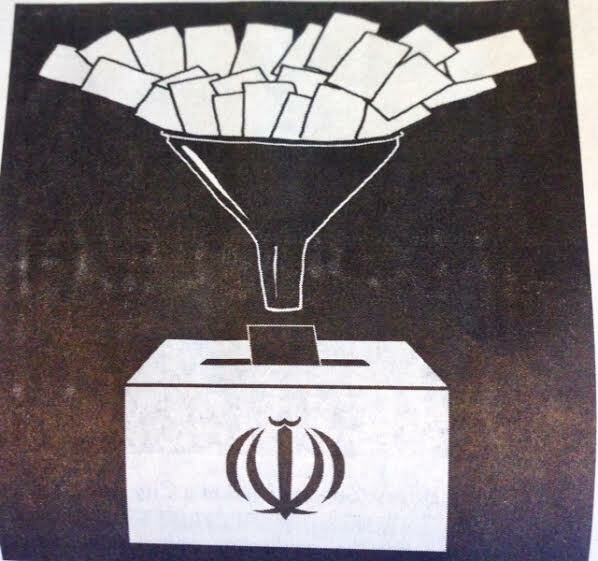 Challenges abound though especially as I am seeing reports of over half of candidates up for the upcoming elections have been rejected by Iran's Guardian Council. Our team is working away on a Notation on some of the true realities out there which the team advises me will be ready for release this week. Page May, Truthout: Martin Luther King, Jr. was a radical, intersectional civil rights organizer who was rebranded after his death as a sanitized national hero. But the restriction of his legacy to memorialized speeches grossly misrepresents the movement of which he was a part. It was another busy weekend in #Outsiders as our team finished a series of notations and worked on getting ready to celebrate the life and legacy of Dr. King with a series of Thoughts from him. It has been quite a weekend yet again!! “It’s a human need to be told stories. It has been an eventful day in our World. I coined the term "Virtually Breathless" at one time in response to the Commitments I have serving as Webmaster for my local Troop, Troop 772--a Commitment I view as a privilege and an honor especially as we in the United States celebrate the life and legacy of Dr. Martin Luther King Jr. I wish all a fabulous weekend. It has been a rather challenging week here in #outsiders as the team was on the "prowl" for President Obama's last state of the Union. Our team's focus primarily was to underscore the key themes and provide a balanced view of the key challenges being faced. I look forward to being supportive of it over the ensuing weeks and months as we are now "officially" in campaign season in the United States. Beyond the politics, there is the human element always. I had the pleasure to once again help staff the St. Timothy's Catholic Church Food Pantry this past Wednesday. I happened to help a lady with the food she'd shopped to her car--and I subsequently was told by another team member that she had taken refuge in a Battered Woman's with her friend who was with her. I don't mind noting that it was absolutely disheartening to hear it. I subsequently struck a conversation with a father who had fallen on hard times. He had five kids--All I could tell him to smile and never allow the World to change his smile. I hope and pray that I somehow made his day just a little bit better. I just got to know MOAS briefly after this report and I am frankly in awe. I warn all (and our team shared it earlier as well in a special edition of Notations) that the Clip by the wonderful team @ SkyNews is horrific to be witness to. The great reporter pitched in to help as I saw the MOAS volunteers jumping in cold water. It is a stark reminder about all that we're blessed with--and a reaffirmation of all that we can do to make a difference. It is also always good news when one hears about marriages. I have profound disagreements with Rupert Murdoch and have so noted in my Twitter Feeds. However when the team sent out a congratulatory Tweet on the pending marriage of Rupert Murdoch and Jerry Hall (Mick Jagger's Ex), I thanked them for it because good news should always be celebrated not withstanding the challenging times we live in. It was an interesting weekend as our team finished off on-going curation as the new week begins. I also stepped back to think about and reflect upon quite a number of on-going upcoming mergers. The key thing that has been at the forefront right now is the state of the World Economy. China is slowing down and once again markets in China were quite weak. The US Election cycle is also quite vibrant and our team finished an edition on Notations that would be available in the network later on. The man that is yet to be beaten at all is Mr. Trump. Although there is polling that continues to suggest a soft underbelly of his support, it is yet to work itself out. This realignment has profound implications for the long-term in the Country and will be subject to some scrutiny. We will be monitoring the progress it. What I found laughable though was the legal action taken by TransCanada over the decision by the Obama Administration over the KeyStone Pipeline XL. The team will continue to assess this on an on-going basis. Beyond this, there is what is going on in California. The budget that was uneviled by Governor Jerry Brown has in it some major uptick in spending especially for schools. Spending per pupil is slated to be at $ 14,500 (with Federal Funds) which will mean some very cool windfall for the school District I have a keen interest in: Capistrano Unified. I was also very pleased with a slight increase in Corrections Spending as I was pleased with his plan to spruce up the rainy day fund more than it was required--some $ 2 Billion Dollars more. Rain stopped earlier today in Laguna Niguel--and it is quite a morning. I finished a few updates for my collection on Twenty20 that the team has been gracious enough to periodically share on the Daily Twitter Feed for Daily Outsider. 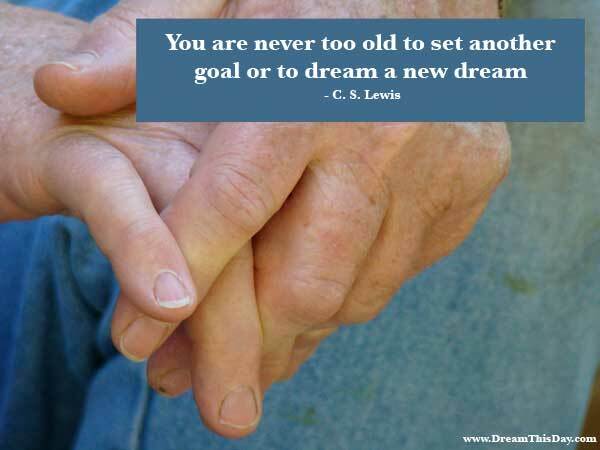 Live your best life, not your age. I am also quite excited as the team has already decided on the first 2016 edition of the "Friday Musical Interlude" that should be available after 12 PM tomorrow throughout the #Outsider Properties. As the great Diane Nyad always reminds us all: Onward!!! It has been another busy day throughout #Outsiders and the decision was made to work on releasing a number of pressing notations in development due to the on-going key developments that was going on. I had coined the term, "Virtually breathless' and I don't mind noting it here. The last 24 hours also saw a President of the United States driven to tears as he reflected upon the kids of Sandy Hook and announced a number of measures to deal with the surging Gun Violence. Our team released a notation with the statement by the President and the reaction by the Conservative community. As the team was busy, I was away from the network as I was on my personal twitter feed and personal facebook feed sharing comments and thoughts on it. It is a developing story that is bound to continue. An Oregon Federal Wildlife Refugee continues to be occupied by a Militia--and I made it a point of asking some of the leading Presidential Candidates over Twitter whether this would be tolerated--it was a rhetorical question The team will be stepping away to continue on-going research as the "twice a day" social media curation on our watch series will continue and the Daily Update published for us under my name for the network by @Paper-iL will also be available. It has been a rather challenging weekend already as #2016 began here in #outsiders. In the United States, there has been a take-over of a Federal Facility in Oregon which is troubling with the Oakkeepers playing a huge role. Half-way around the World, the sectarian conflicts that was underscored by the brutal execution of 47 people in Saudi Arabia was laid bare with demonstrations throughout the Muslim World. 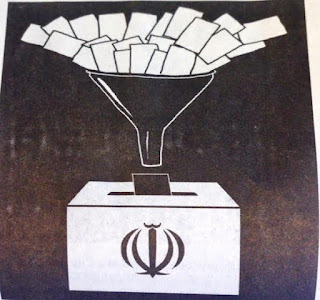 It was frankly ironic that Iran took the lead in criticizing as it is itself one of the leading executioners in the World and continues to detain a number of key opposition figures including Mir Hossein Mousavi and Mehdi Karoubi. The team is working on a "Notation" on Iran which is slated to be released sometime on Tuesday.